Sofia. At least 1,000 protesters will gather in front of the European Parliament in Strasbourg, trucks will not be allowed, the deputy chairman of the National Association of Bulgarian Hauliers, Krasimir Lalov, said in an interview with Focus News Agency about tomorrow’s protests in Sofia and Strasbourg against the Mobility package. Their representatives will arrive in Strasbourg at 9 am local time with a flight from Bulgaria. Two charter flights are expected from Romania as well, Lalov said, adding that colleagues from Poland and Lithuania are also expected to protest. Asked about discussed scenarios, he said their purpose was to convince the others that they were right, which could not happen through riotous acts. Plovdiv. Plovdiv hauliers have set fire to a heavy truck to protest against the adoption of the Mobility Package (dubbed Macron Package) at the European Parliament, Focus Radio reported. The truck was doused with gasoline and then set on fire. More than 200 employees of private transport companies from Plovdiv had gathered in protest. Angel Trakov, Chairman of the Board of the Union of International Hauliers, said the proposed provisions were highly restrictive to the periphery of the European Union (EU), the Bulgarian hauliers would do whatever it takes and would be looking for other forms of protest. The burned truck had already been set for scrap, but the price of a new vehicle of this model is EUR 100,000. The Macron Package is opposed by large and small Bulgarian companies – with 2 or 100 trucks, most of them being in the business for about 10 years. According to most hauliers, with these measures the EU is trying to colonise the peripheral European countries, and these measures indirectly affect many other areas of economy. Strasbourg, Sofia. 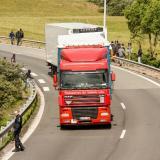 Hundreds of hauliers are protesting in Strasbourg against the Mobility Package, Focus’ correspondent has reported. The protest is taking place despite European Parliament President Antonio Tajani’s decision to pull the vote on the Mobility Package from the agenda. This is the second protest by Bulgarian hauliers against the proposed adverse regulatory changes. According to their figures, there are about 17,000 road haulier companies in Bulgaria with 66,000 trucks and 120,000 directly employed people. The most numerous protesters in front of the EP are the hauliers from Bulgaria and Romania, supported by their colleagues from Lithuania and Slovenia. The protesters wear yellow vests and wave their national flags. Bulgarian MEPs attend the protest in a show of support. 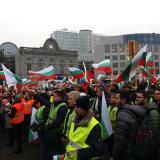 In Sofia, the protesters against Mobility Package 1 gathered in front of the St. Alexander Nevski cathedral and marched to the European Commission Representation in Bulgaria. 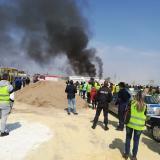 Taxi drivers and lorry importers joined the local protest of hauliers, who reject the requirement to return to the country every 4 weeks and the prohibition of sleeping in truck cabins. They want an exemption from the general rules for posted workers, saying that their work is different from the rest. They say the measures mostly affect the EU’s periphery and especially Bulgaria because of its geographic location. Sofia. European Parliament President Antonio Tajani has sent the Mobility Package to the Committee on Transport after a request from MEPs, Focus News Agency reports. Thus, the package will not be voted on today. Nevertheless, Bulgarian hauliers will go to Strasbourg as planned, Union of International Hauliers Director Yordan Arabadzhiev said. He could not confirm if the planned protest in Sofia would still take place in the present situation. MEP Peter Kouroumbashev said there were three remaining weeks and Bulgarian hauliers should express their opinion in Strasbourg although the package had been withdrawn from the plenary hall. Sofia. The Chamber of the Bulgarian Road Hauliers is planning protests in Strasbourg and Sofia on March 27 if in the coming days the Mobility Package is scheduled for the European Parliament’s session that day, the chamber’s CEO, Dimitar Dimitrov, told Focus Radio. A charter flight has been organised for 105 people for the planned protest in Strasbourg. In Sofia, representatives of 12,000 Bulgarian transport companies are expected to protest in front of the European Commission Representation. Sofia. 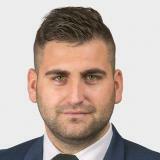 It is still uncertain if Mobility Package 1 will be voted at the next European Parliament session in Strasbourg, as the draft agenda still needs approval, MEP Peter Kouroumbashev, Socialists and Democrats, said in an interview with Darik Radio, quoted by his press office. Many times the Conference of Presidents has rejected proposed items on the agenda or has added new ones, the MEP explained. Nonetheless, so far this proposal has not been included in the draft agenda and has only been discussed in the Conference of Presidents, where it has been postponed, neither accepted nor rejected, Kouroumbashev said. The Conference of Presidents will meet on March 21. “It will be interesting to see if the main political parties will change or keep their views because with the positioning of the different political parties until now, this proposal has not received enough votes to enter plenary. It is very important that none of the major political parties shifts to our detriment,” Kouroumbashev added. Sofia. We need to form a coalition of countries united against the Macron plan and the Road Alliance that includes Austria, Belgium, Denmark, France, Germany, Italy, Luxembourg, Norway and Sweden, PES/BSP MEP Peter Kouroumbashev told BTV this morning. “We have won a small interim battle,” he said. “From now on, we should not only watch what the so-called Road Alliance is doing but unite with the countries that disagree with the proposed changes in the Mobility project, such as Poland, Romania and others,” the MEP noted. On Thursday it will be decided if the topic will be discussed in plenary. According to Kouroumbashev, the president and the prime minister sent timely letters to Antonio Tajani to postpone the voting to the next European Parliament. Sofia. Prime Minister Boyko Borissov has discussed the situation regarding the Mobility Package 1 with the President of the European Parliament, Antonio Tajani, the government press office said. The two of them had a telephone conversation today. In view of the latest vote on the package in the European Parliament's Committee on Transport and Tourism, where two of the three reports from the package were rejected, the Bulgarian prime minister urged President Tajani to consider the possibility that the issue be left to the next European parliament. Borissov said there was a political agreement between the parliamentary groups in the transport committee that the three reports from the Mobility Package were inseparable, it would make no sense to put the rejected reports to the vote in plenary. 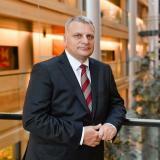 "Twice the transport committee and once in plenary, the MEPs have rejected the controversial reports on the Mobility Package 1, showing that its provisions are unbalanced and stir up discontent both among them and in a number of EU member states,” Borisov stressed. Minister of Transport, Information Technology and Communications Rosen Zhelyazkov will travel to Brussels to present Bulgaria’s arguments concerning the rejected reports and their voting procedures at a meeting with President Tajani. Sofia. Ombudsman Maya Manolova has sent a letter to European Ombudsman Emily O’Reilly, asking for assistance on the controversial legislative amendments in the Mobility 1 package, which are clearly to the detriment of Bulgarian road hauliers, Manolova’s press office said. She has also sent letters to European Commission President Jean-Claude Juncker and European Parliament President Antonio Tajani, asking for the amendments not to be voted on by the current European Parliament, given its expiring mandate. In the letters, the ombudsman says that the adoption of the amendments will seriously affect fundamental rights of hauliers from East European countries and will damage the functioning of the common market, competitiveness, the right of access and the free movement of people. She points out the potential negative consequences for over 150,000 truckers and their families. Brussels. Even if the European Parliament adopts the return of trucks, the European Commission will not support it in the trialogues, which means that this measure will be dropped, Minister of Transport, Information Technology and Communications Rosen Zhelyazkov said at the protest of Bulgarian hauliers in Brussels, Focus News Agency’s correspondent reported. The minister noted that only some of the proposals within the package, those about the return of trucks to the country of registration and cabotage, were approved by the transport committee today, while the rest were rejected. 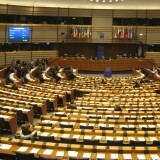 He said Bulgaria’s position would be against the consideration of the package by the European Parliament. Brussels. We are here to defend a national and European cause, to state openly and categorically our protest against the double standards that will hit not only us as hauliers, not only our truckers but also the economy of the countries on the periphery, said Angel Trakov, Chairman of the Union of International Hauliers, at the protest of Bulgarian hauliers in Brussels, Focus News Agency’s correspondent reported. “We are witnessing an attempt to impose political decisions without legal justification and economic logic, which will solve domestic problems for some countries, but at the expense of the economy of others,” he said. 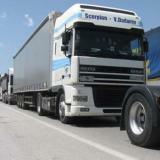 He called the proposed regulations discrimination against Bulgaria and Bulgarian hauliers. “Bulgarian transport workers have gone through all difficult years of changing political regimes, spheres of influence, rules,” Trakov said, adding that the Bulgarian transport business was sustainably developing and competitive with strong European countries. Brussels. The European Parliament’s transport committee rejected the compromise requested by Bulgaria regarding the Mobility package, BNR has reported. The MEPs adopted provisions that lorries must return to the starting point every four weeks and that truckers could not sleep in the cabins but will have to stay in hotels. Sofia. The expectations before today’s voting in the transport committee are not optimistic, MEP Peter Kouroumbashev, Progressive Alliance of Socialists and Democrats, told the Bulgarian National Television. “In case those regulations are not adopted, many countries have begun to adopt their own rules at national level. An approach like this is the beginning of the end of the EU,” said Kouroumbashev. Ilhan Kucuk, Deputy Chairman of the Alliance of Liberals and Democrats for Europe, called for a sober approach to assess the pros and cons and draw up a long-term strategy for the upcoming interinstitutional talks. MEP Andrey Novakov, GERB/EPP, said it was still unclear whether the present Parliament would have the last word. MEP Angel Dzhambazki, European Conservatives and Reformists/VMRO, said there was no point-scoring between Bulgarian MEPs on that subject. “We are having a real fight in the European Union for the livelihood of 150,000 Bulgarian families,” he said. Sofia. International road hauliers from Bulgaria, Lithuania, Poland, Romania, Slovenia, Hungary, Croatia have united in a declaration against the Mobility package, the Association of Bulgarian Enterprises for International Road Transport and Roads (AEBTRI) said. They say the Macron package has no impact assessment, the proposals are discriminatory and burdensome and the debates are politicised, populist and even radical in the pre-election context. The hauliers insist that the rules on posted workers do not apply to them, otherwise costs will soar and there will be a risk of bankruptcies and rising transport and commodity prices. They reject the proposal for the trucks to return to the country of registration and say truckers should be able to choose where to spend their breaks. According to their statement, the ban on weekly cabin breaks will result in additional, unnecessary costs and will affect transport efficiency and security. Sofia. The division in the European Parliament over the Mobility package remains, said MEP Andrey Novakov in Focus Radio’s morning broadcast regarding the controversial so-called Macron plan to be voted in the EP’s Transport Committee tomorrow, January 10. Novakov said that Germany, Austria, France and Italy were the firmest advocates of the clauses discriminating against Bulgarian hauliers. The majorities for and against the package are very dynamic, difficult to predict, the MEP said. 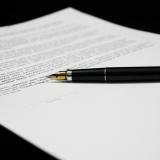 “This is the third attempt at adoption of the texts in the EP following two rejections. The reason for us to again deal with the Macron package is the decision taken by the EU transport ministers. I hope we will again succeed, together, in blocking its adoption, or at least in adopting alternative texts, prepared and submitted by Bulgarian MEPs. In this way we aim to at least mitigate the blow to Bulgarian hauliers,” Novakov said. He added that MEPs’ opposition to the plan for 2 years now and tomorrow’s protest by hauliers in Brussels should be a clear sign that the proposed measures were unacceptable. Tomorrow’s voting in the Transport Committee is not final, there will be new negotiations, the MEP said. Sofia. A postponement of the Mobility package adoption would be good news, but it would be better to have dialogue with the lobbyists that seek the bankruptcy of the Bulgarian companies, said Petko Angelov, Chair of Chamber of Bulgarian Road Hauliers. Speaking to Focus Radio, he said that for the first time all Bulgarian institutions showed such understanding, but that Prime Minister Boyko Borissov must defend the hauliers’ interests as he had done it before. Transport activity provides over BGN 1 billion to the national budget. A bankruptcy will benefit leading European economies, he said. “The leading economies in Europe such as France and Germany, there is currently a shortage of 50,000 drivers in each country. This means that they want to take our drivers under the same conditions we currently offer, not to pay more, because drivers are free, they can always go to a French or German company if they wish and leave Bulgaria. The bad thing is that with this so-called Macron plan they put forward the arguments about social policy, claiming that the French and German MEPs think about the drivers. They put forward the argument that Bulgarian truckers are nomads travelling across Europe for months and years, which is not true. Every driver can come back home whenever he wants,” Petko Angelov said. Bulgarian hauliers hope that if the Mobility package overcomes the first stage, then it will be stopped at second instance. Sofia. BSP representatives will join the hauliers’ protest in Brussels, party leader Kornelia Ninova told a press conference. “For us, the Macron project at European level is anti-European because it goes against a fundamental EU principle of free movement of people and goods, it divides Europe into small and big, East and West, a centre and periphery. For Bulgaria this is a heavy blow to our economy,” Ninova said, quoted by Focus News Agency. She said the government had failed to defend the Bulgarian national interest and transport companies by staying neutral during the country’s EU presidency. 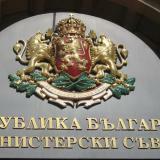 “Until May the Bulgarian government had no official position in defence of the Bulgarian interest,” Ninova stressed. Sofia. The Bulgarian government unequivocally supports Bulgarian hauliers’ demands for amendments to the so-called Mobility package, the government press office said after a meeting between Prime Minister Boyko Borissov and Transport Minister Rosen Zhelyazkov. 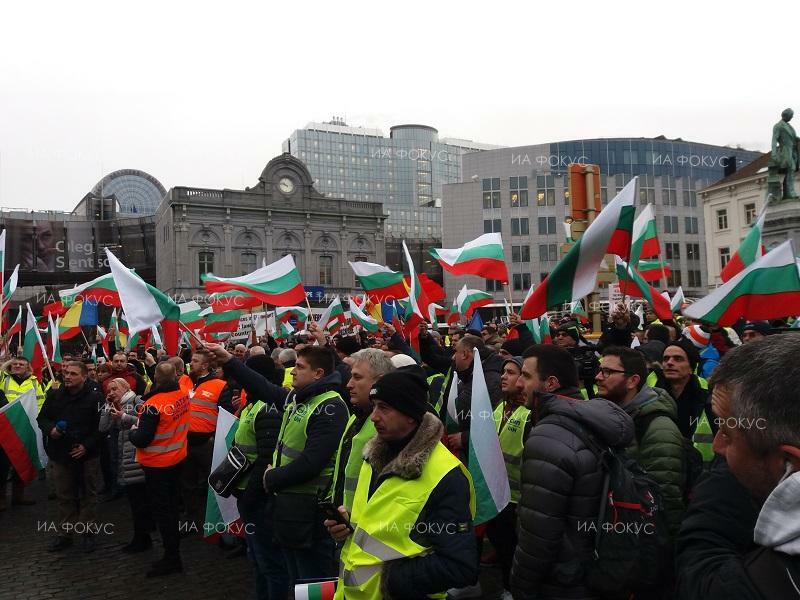 They discussed the Bulgarian hauliers’ protest in Brussels on January 10 and demands that the European Parliament’s Transport Committee adopt proposed amendments about the return to the country of registration every 4 weeks and the night’s rest for truckers. “The limitations imposed with the Mobility package will be restrictive and extremely burdensome for the transport business in the peripheral countries of the Union and will in fact drive it out of the market,” Minister Zhelyazkov was quoted as saying. According to the prime minister, without the amendments Bulgaria and other East European countries will lose much of their economic potential and domestic product as the hauliers will be forced to move their business elsewhere. Sofia. 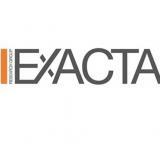 The protests of hauliers to be held on January 10 in Brussels receive high public support in Bulgaria, according to a national representative survey by local polling agency Exacta Research Group. 64.6% of respondents say they support hauliers’ protests against new EU requirements for international transport (the Macron package), 7.9% answered “no”, whereas 27.5% have no opinion on the matter. The support is relatively evenly distributed among all social-demographic groups, with higher than average support registered among men, among people aged 30 to 39, and among urban residents outside the capital. The protest receives nearly equal support among voters of the main political parties, GERB and BSP, as well as among non-voters, and higher than average support among United Patriots’ supporters (69%). Young respondents (aged 18-29) and people in villages more commonly have no opinion. Sofia. 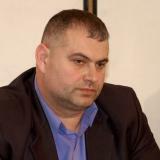 I support the protest of Bulgarian hauliers on January 10, I will protest with them, MEP Andrey Novakov, EPP, told Focus News Agency in connection with the organised protest in Brussels against texts of the Mobility 1 package, which Bulgarian hauliers say will harm the sector. Novakov said that all Bulgarians engaged on the topic would now work for a rejection of the package or would at least suggest alternative texts in line with the interest of Bulgarian hauliers. “We will do our best to convince a majority to make amendments, not only in line with the Bulgarian interest but with the sound economic logic,” Novakov said. According to him, the Mobility package and the texts set out in it go against European legislation that protects the free movement of people and goods. If certain harmful texts remain, they should be questioned before the Court of Justice of the European Union, he added. Sofia. 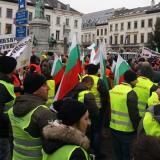 The protest against the Macron package in Brussels will be supported by Romanians, Lithuanians, Hungarians, Poles, Dimitar Dimitrov, Director of the Chamber of Bulgarian Road Hauliers, told Nova TV. The protest is scheduled for January 10, when the European Parliament’s Transport Committee will vote on the Mobility 1 package. Dimitrov said the hauliers wanted to make MEPs aware of the consequences for East European countries. The return of drivers and trucks to the country of registration will have no social effect, but at the same time it will force many Bulgarian hauliers to re-register in other EU countries, he said. “Even the requirements to third countries will be lighter, there is no way to implement some of the requirements to Turks, Russians, Macedonians,” he said. Sofia. 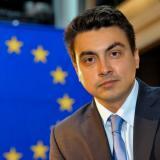 The right decision is to postpone the debate on the mobility package because it may become fully politicised in the present pre-election situation, MEP Momchil Nekov, Socialists and Democrats S&D/BSP, said in an interview with Focus News Agency. “The subject may become fully politicised to our detriment so that they could win their voters in Western Europe,” Nekov said. He pointed out that the majority in European Parliament was clearly not in favour of Bulgaria. “In the Council the country through its respective minister, Rosen Zhelyazkov, or the prime minister has the right to block the proceedings. Our goal is to keep the status quo as much as possible or to have flexibility that is in our favour, to prevent such discriminatory rules. 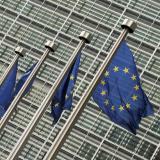 From this point of view, it would be best to postpone this subject to the next parliamentary term after the European elections,” the MEP said. Sofia. East European countries may veto the Brexit deal if the policy of destroying their economies through the mobility package continues. 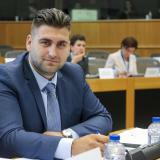 This is what MEP Angel Dzhambazki, European Conservatives and Reformists/VMRO, said in an interview with Focus News Agency in connection with the upcoming voting in European Parliament on the new provisions of the package which directly affect the interests of Bulgarian hauliers and could have a catastrophic impact on the transport sector’s economic performance. The mobility package cannot be vetoed because transport is not a sphere that allows it, but there are other ways to respond, for example by vetoing the deal on Brexit, said Dzhambazki. He believes a veto would be the most effective response by Bulgaria and other East European countries if the proposals on the mobility package are not withdrawn.